NMLS 1221745, age 50, is a founder and principal of MME Capital Management, LLC, with his focus dedicated to underwriting, capital raising, and back office management. From 1998 through 2003 he served as Vice President of Toll Brothers, Inc., and headed up the Florida Division Land Acquisition Department, managing all Florida land assets. Within this capacity, Mr. Finkelberg oversaw all aspects of land acquisition, entitlement & disposition, as well as serving as liaison to all legal contract matters. In 2003, he joined Avatar Holdings, Inc., as Senior Vice President of Land Acquisition and Business Development, where he created and ran the Land Acquisition Department for the company. Since 2010, Mr. Finkelberg has been the managing member of his own real estate company dealing in the acquisition of real estate and private investments within all disciplines, including residential, commercial, retail, and industrial properties. 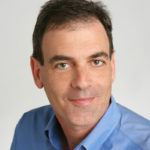 Eric has more than 25 years of experience in the real estate industry, working with both private and public companies. He graduated with a Bachelor of Arts degree in Labor Relations and Economics from McGill University, as well as a Law degree from Osgoode Law School in Toronto. He is a licensed Florida Real Estate Broker as well as a licensed General Contractor.